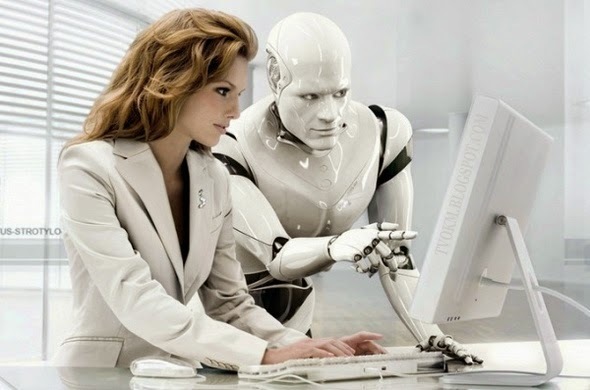 Humans will compete with robots for employment in 2040, according to a study by future researchers that predicts robots will increase by that time and will be widely used in the employment sector, including our daily life. The competition for jobs encourages humans to meet with doctors to "get extra processing power for the human brain" and to be ready to use bionic hands to ensure they are able to work fast as a machine. Modern examples for employment in the future may be the taxis driven by Google robot, stores that are only a showroom for online markets, and call centers only used by intelligent robots. This research was commissioned by global job seekers, xpatjobs.com who said people will no longer have a guaranteed job during that time and will be socializing more than working. The length of working time for humans will rise to one-third of 50.5 hours per week compared with 37.4 hours at the present time. People who take risks and create innovations in their work will gain more income. Workers in 2040 will be exposed to the problems of poor visibility with and frowning eyebrows because which will cause them to fight for their lives in the 21st century. Humans will be surprised by the rapid changes that occur with computers. Technology will be the only 'tool' that will touch the market at this time. Globalization of all jobs will revolutionize the way we think about work in the years heading to 2040. Entrepreneurial thinking will at the same time create an interaction between humans and jobs which need ideas, problem solving and loving touches that cannot be replaced by machines. i don't think so it will happen!